Dogs grown in the woods quickly learn the habits of wolves. They become fierce hunters, attacking any prey just like the wolves do. On the other hand, wolves grown in captivity are hard to control. 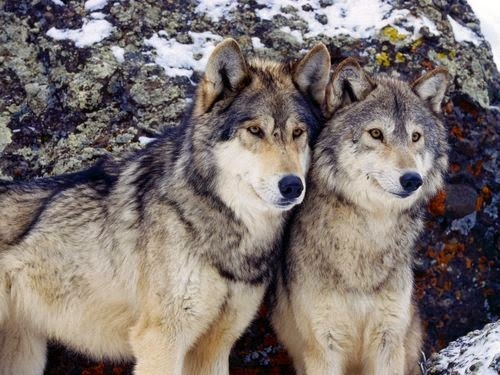 The common origins of wolves and dogs allow them to get along just fine, if they are grown in the same habitat. Even so, it is difficult for us to understand how the first humans managed to create dogs from wild animals. The first animals were grown as a source of food. Later, when humans domesticated sheep, pigs and cows, the dog became the guardian of those against other animals. In some cultures, eating dogs is still common, and the races grown especially for food in China resemble with the wolves.